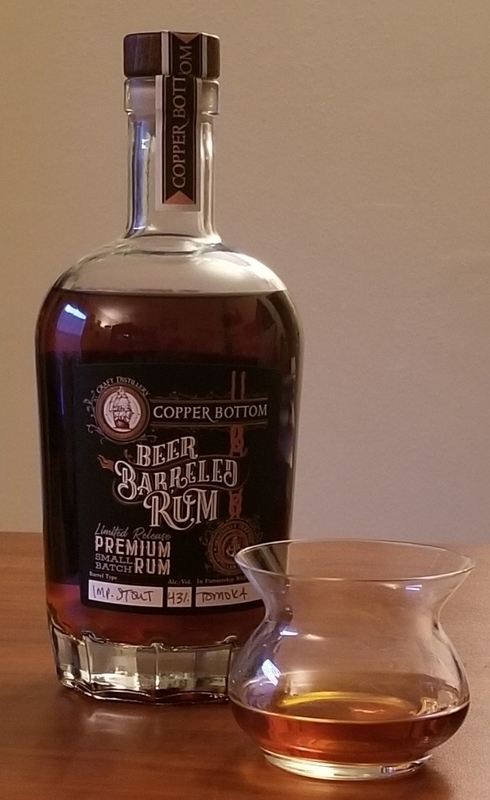 Have you found an online vendor selling Copper Bottom Craft Distillery Beer Barreled Rum? A complex nose starts with the aroma of a strong beer greeting you as you pour, but then it teases with hints of cherry and port wine. The first sip fills the mouth with rum, oak, and raisin, and leaves behind a long finish with notes of bourbon and chocolate. Just a little extra heat, it's 86 proof, the full flavor and long finish keeps you reaching for another sip. An ice cube brings out a little more of the bourbon flavor, but I liked it neat. Pairs well with a cigar. This is a great sipper.